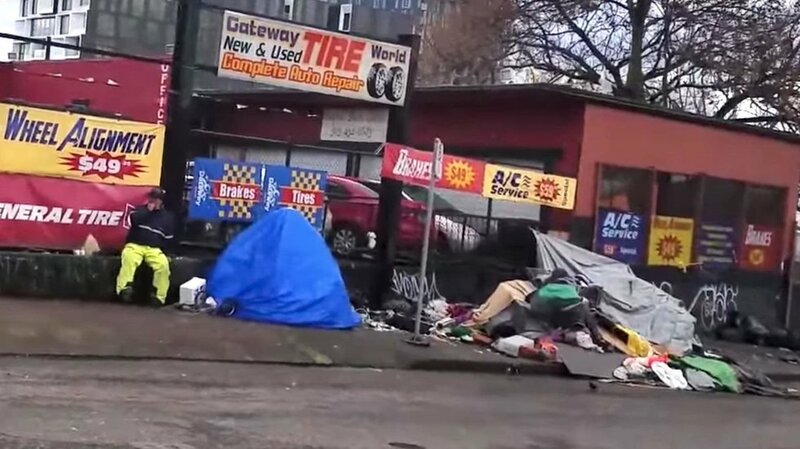 Daniel Greenfield at Sultan Knish blog has an article up describing how Portland’s progressive policies are destroying a once beautiful city – Escape from Portland. I used to love a trip to Portland — visit awesome bookstore Powell’s, visit one of the many good restaurants like Ox or maybe some of their nice food trucks — but it hasn’t been the same the last few years. Officials say that although their “no-turn-away shelter strategy” failed spectacularly, they want it to be adopted state-wide and nationally. It was a big year in Portland where the murder rate rose 18.6%. That was the perfect time for Portland’s progressive politburo to spend over $1 million on unarmed cops armed only with pepper spray. Homeless crime has become both routine and terrifying. One Portlander described being threatened with a machete on a children’s playground, and it’s taken the city’s crime problem to new levels. 15% of Portland’s violent deaths in 2018 involved the homeless in some way. Portland property crimes rose 15% in 2017. Its property crime rates easily outpace Boston and Denver, and put it on a par with dangerous cities like Atlanta. Its homeless blight has put Portland on the same path as San Francisco, New York and Los Angeles. Portland’s Downtown Clean and Safe had picked up less than 9,897 used needles in 2015. This year it’s 39,000. Garbage and biohazards have also increased. Click here to read the entire article at Sultan Knish. Posted on January 10, 2019 January 10, 2019 by lvassemblyPosted in InformationalTagged crime, daniel greenfield, mayor, police, portland, progressive, sultan knish.